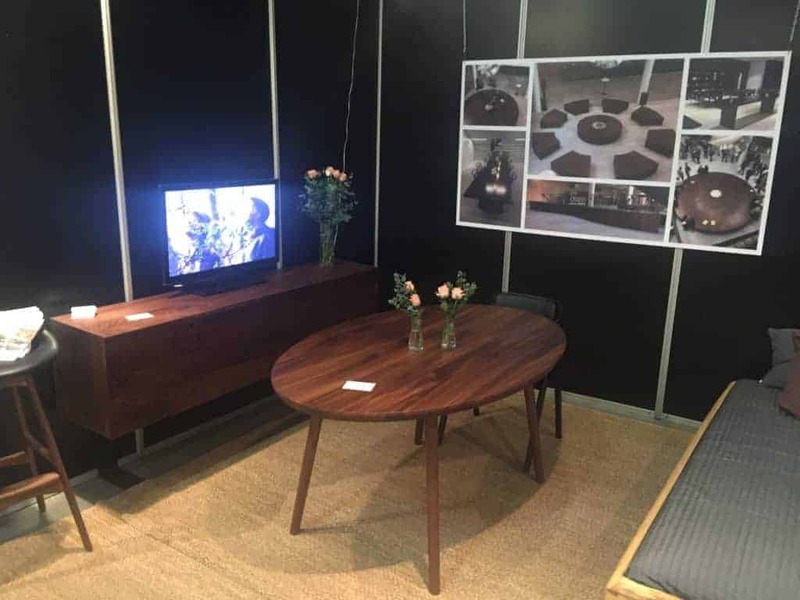 American walnut is a perfect material for exclusive furniture pieces. 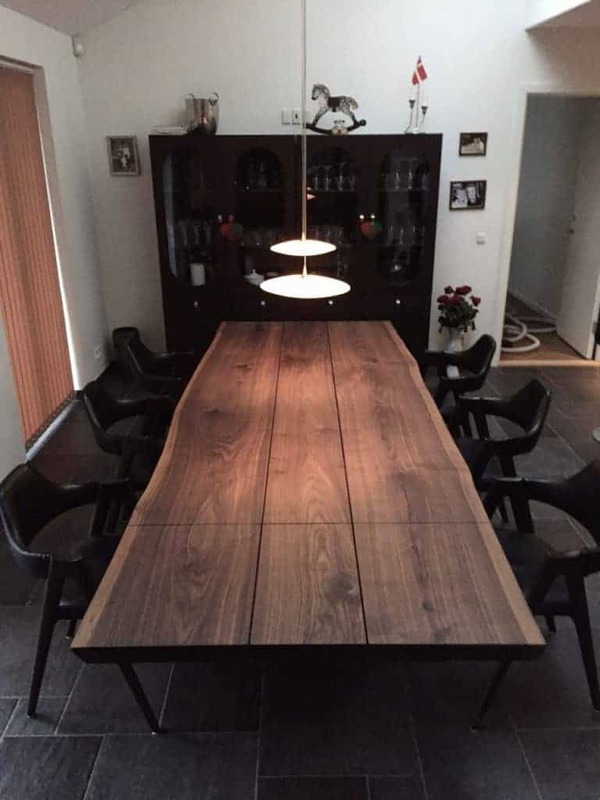 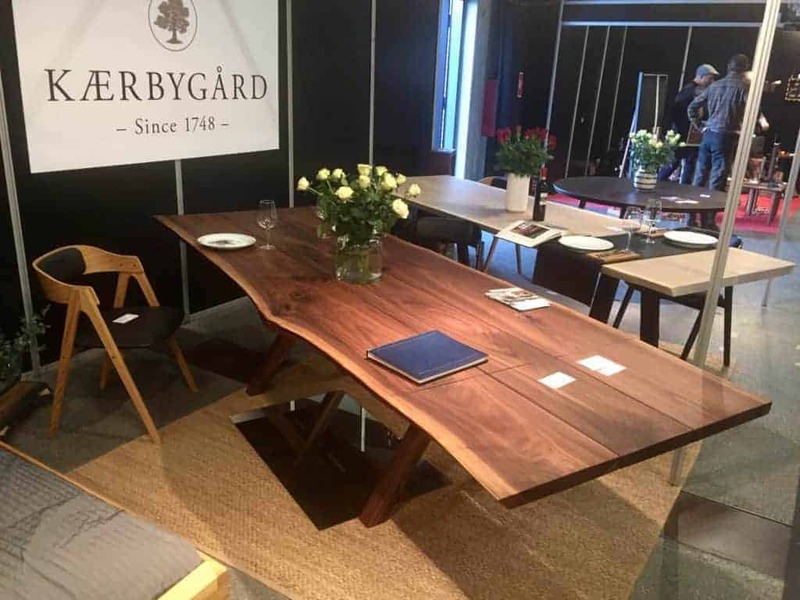 Though we mostly work with Danish wood types at Kærbygård, we use American walnut for many of our designs. 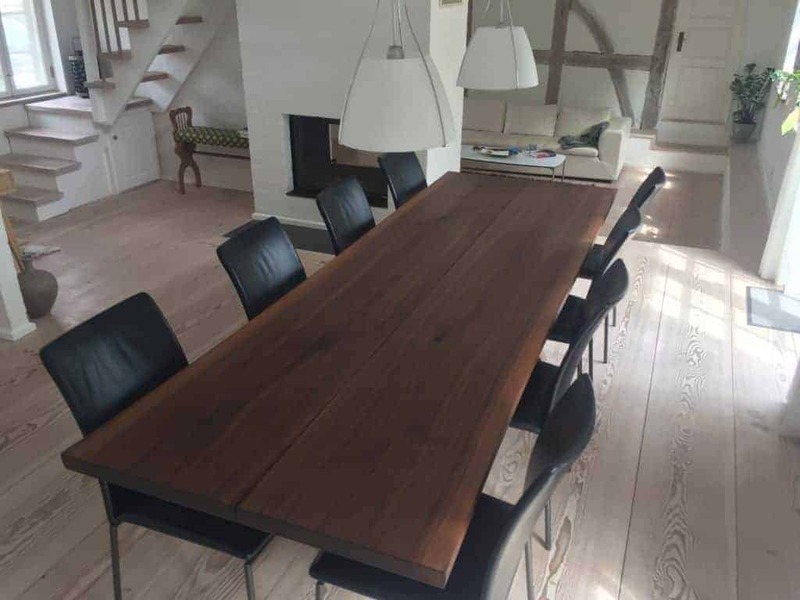 We have a supplier that provides us with first-class planks. 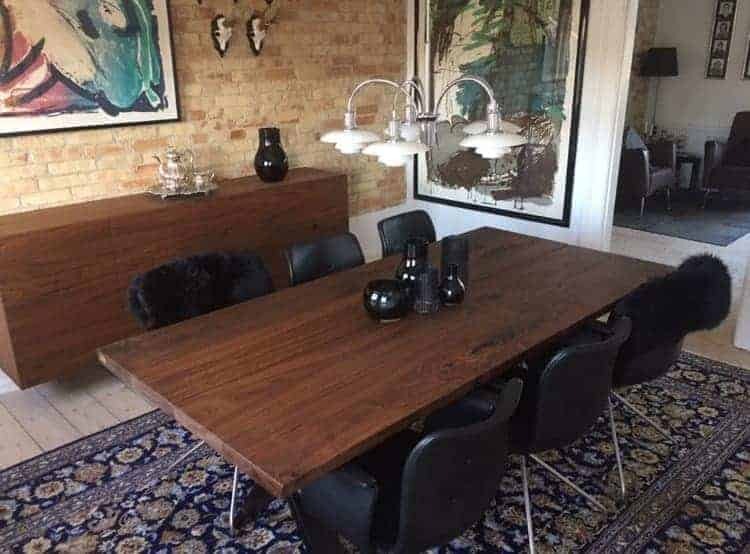 We also have a stock of European and Danish walnut which, in addition to having a brighter color, also has a different grain pattern than American walnut. 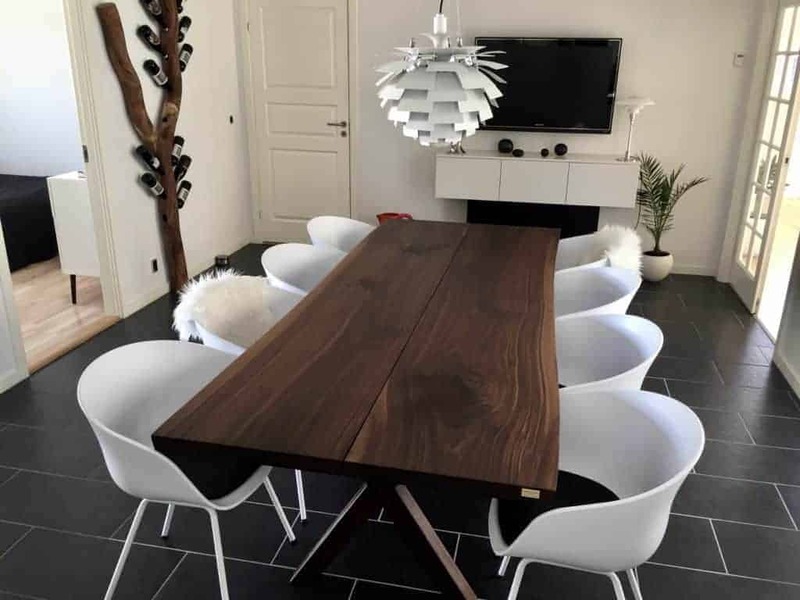 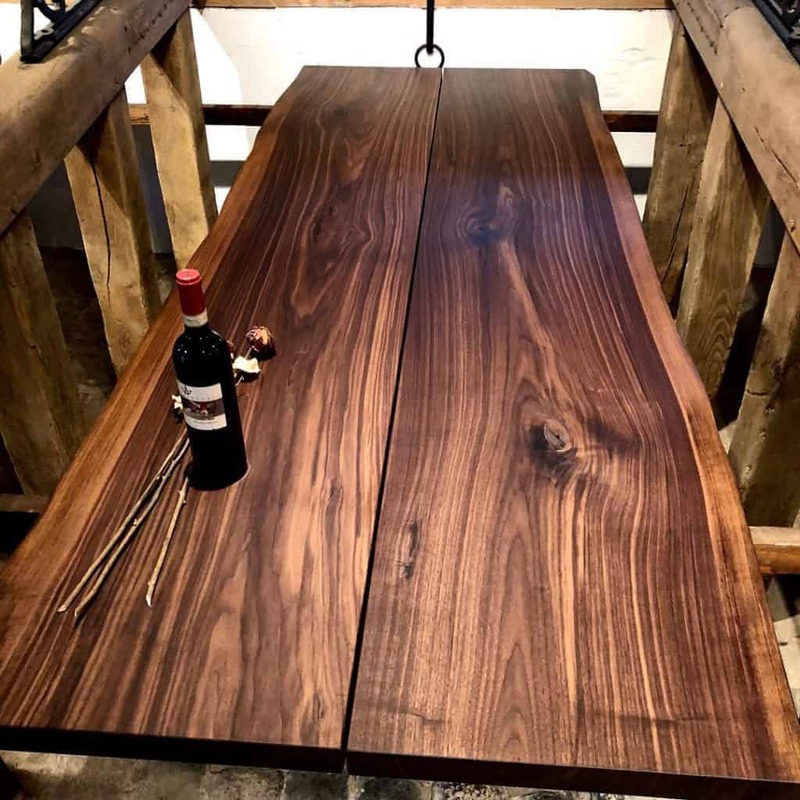 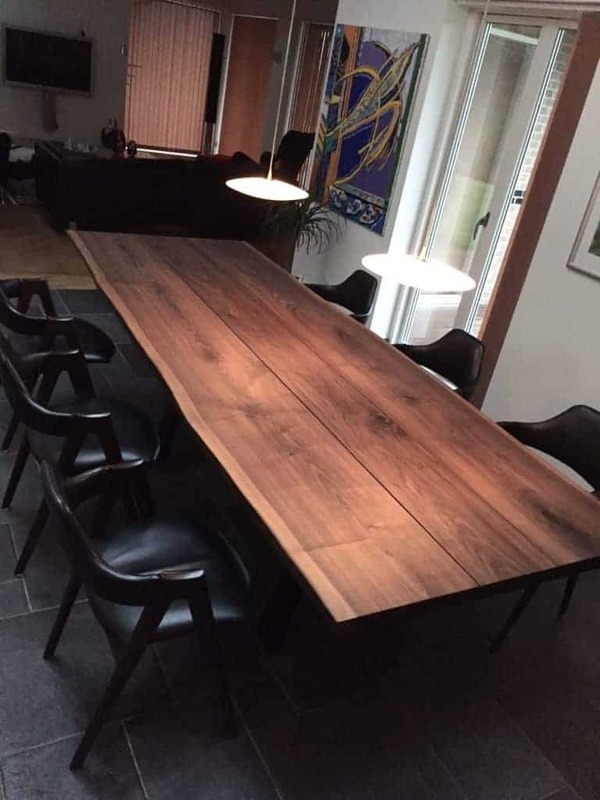 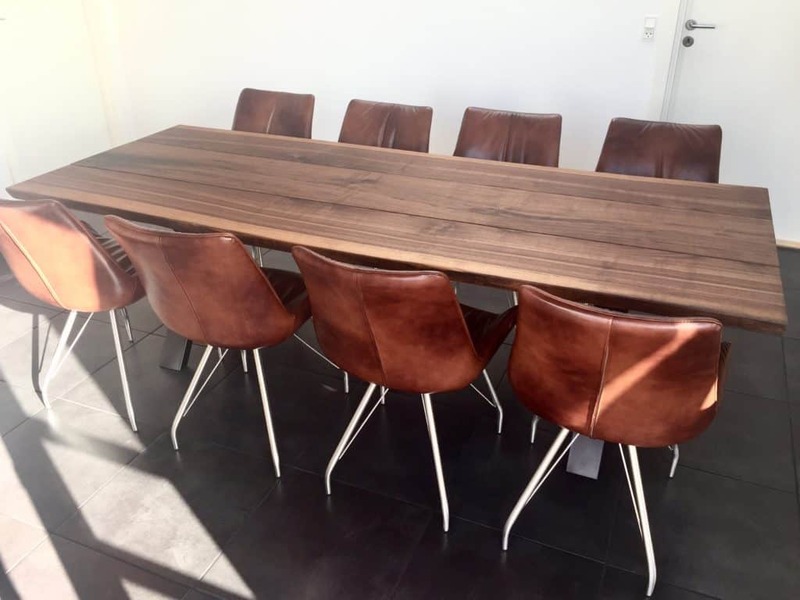 If you fall in love with the dark color, we recommend buying a table in American walnut rather than using wood stains or wood oils to darken a different wood type, as it is impossible to recreate the look and feel of the real deal. 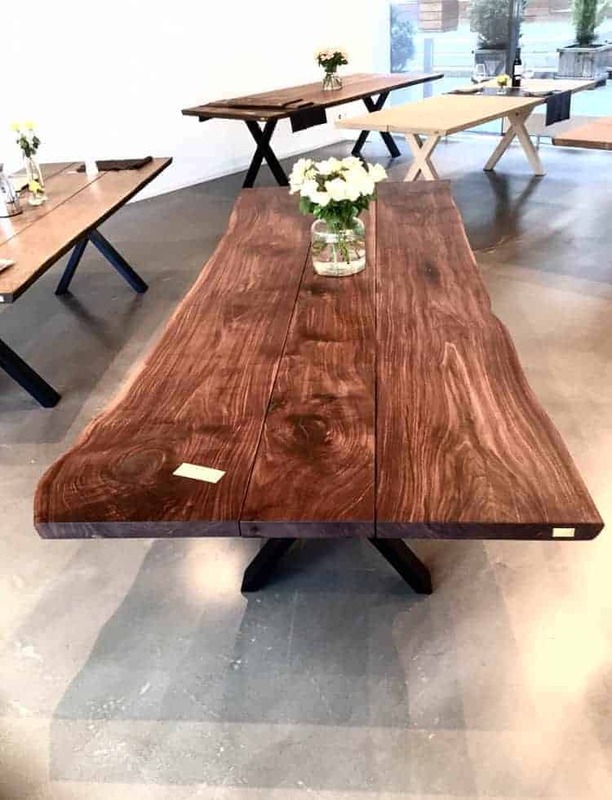 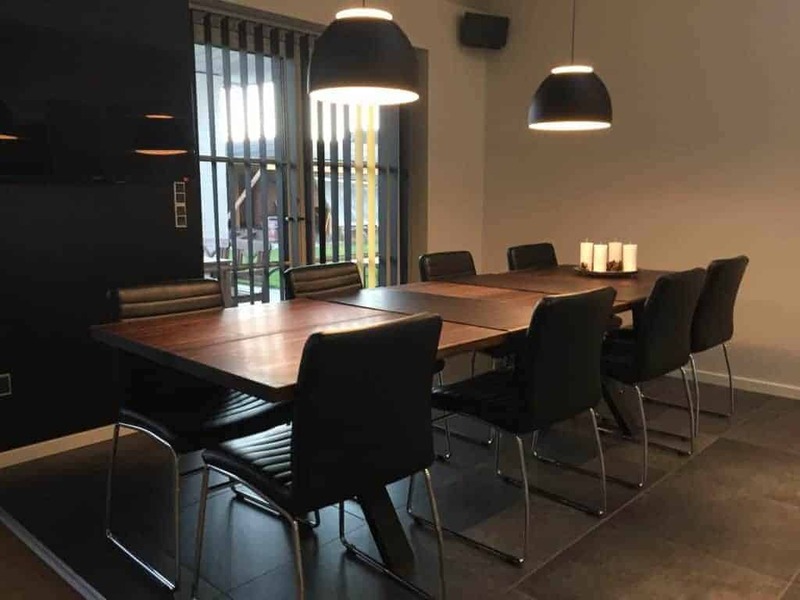 Visit our showroom for a closer look at the materials.